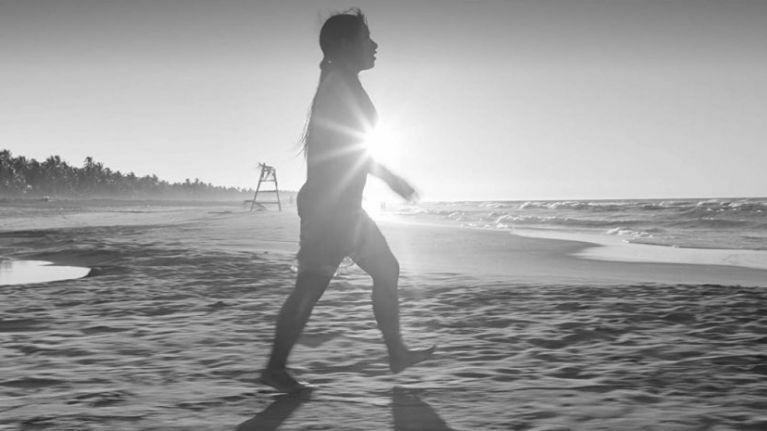 Cuarón conjures up breathtaking images in a film shot in a sunlit black and white that painstakingly recreates the look and feel of the time. Central is the quiet, unassuming figure of Cleo (Yalitza Aparicio, a non-professional in her first role), a young woman of Mixteco Mesomaerican heritage who serves the family with love, and who is almost a member of it. There are four children but she and the boy who grew up to be Cuarón are exceptionally close. The family live in a rambling house in Roma, an upper-middle class district of Mexico City. Harassed mother (Marina De Tavira) relies on Cleo, particularly when her doctor husband, whom we hardly see, leaves temporarily and then permanently. Shot in long takes, we see a series of events in the family and Cleo’s lives. The narrow covered entrance to the house is a constant annoyance for husband and wife when parking their cars but they deal with it in differing ways. It’s also a source of poo by the family’s dog and a repeated image is of Cleo cleaning it up. We see how she is loved but also put upon, either unthinkingly by the family or callously by Fermin (Jorge Antonio Guerrero), her only boyfriend. There’s a New Year family visit to a house party in a mansion outside the city with a bizarre shooting contest. Cleo meets Fermin at the local cinema which is showing Marooned, a sci-fi film that hints at the genesis of Cuaron’s astonishing Gravity/ And a holiday by the sea with an unbearably suspenseful sequence that shows Cleo’s stoic heroism. As well as being implicit with class, money and race, the family set in the context of Mexico’s political upheavals. Soldiers march in the street and there’s a stunning epic sequence of crowd scenes of the student demonstrations that ended in the Corpus Christi massacre, when around 120 people where killed by the military. We see how it impinges on the family, who are caught up in it, how it affects Cleo at a crucial moment in her life and the efforts the family make to get her to hospital in an emergency. What results is heartbreaking and brutal. Roma has wonderful performances that wring the emotions and great visual beauty. It’s a slow-burning masterpiece that deserves to be seen on a big screen. 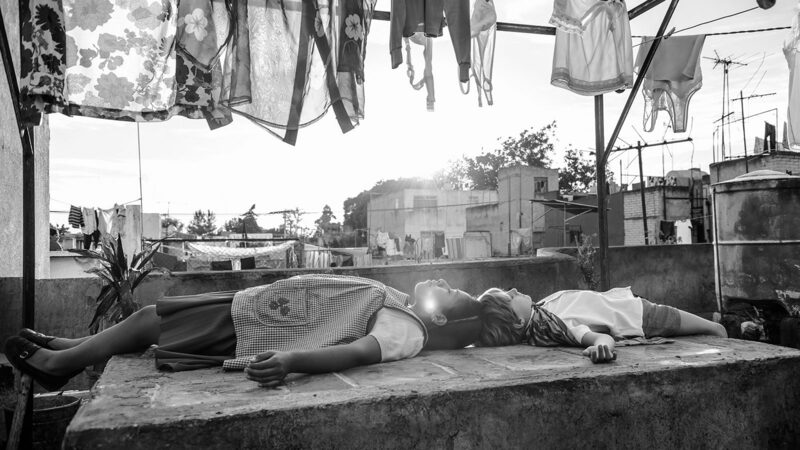 Roma premiered at the Venice Film Festival 2018, where it won the Golden Lion. It screened at the Cannes Film Festival 2018, the BFI London Film Festival 2018 and is released on Netflix on 30 November 2018.